You take the advice you’ve heard so many times and you get your free annual credit reports to make sure they are correct. Then you take it one step further and get a free credit score. Perhaps a lender provides it when you are turned down for credit, or you order it from a service such as Credit.com. But the number you see is a complete surprise. Your credit score is not what you expected. Maybe it’s better, maybe it’s worse, but either way you can’t imagine why it’s so “off.” What gives? Here are three reasons why your free credit score may be different than a credit score you’ve seen elsewhere. All of these explanations are based on the same fact, though: You don’t have one credit score. At any given time there are many different credit scores that can be calculated based on your credit information. I use Credit.com (free Credit Report Card) and I find it a useful tool. But the score I get is not even close to my real score. I recently had a car dealer do a light check on my credit, and it was over 80 points less than Credit.com says. So why should I continue to use this as a guide if it’s not even close to accurate? What Jerry needs to understand is that the auto lender is pulling a credit score that is customized to the auto lending industry. That score is designed to predict how likely a potential customer is to default on an auto loan. If he were to apply for a credit card the same day, the score the credit card issuer would obtain would very likely also be different than the score the auto dealer obtained. There are many different types of scores: generic scores designed to predict how consumers may repay a variety of different loans; industry scores created to predict performance on certain types of loans such as auto loans; custom scores that are “customized” for the lender’s own specific customer base and purposes; and educational scores created to show consumers how different types of information in their credit reports impact their scores. Another reason these numbers differ is the range of the scoring models that are used are not all the same. When you get your score, take the time to look at what type of score you are reviewing and understand the range for that particular model. 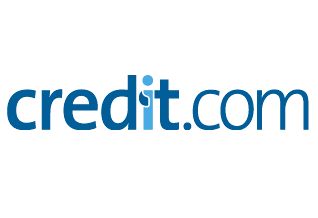 The score that Credit.com provides for free, for example, is an Experian score that has a range of 300 to 850 – the same range as FICO scores, which also run from 300 to 850. The new VantageScore 3.0 range is also 300 to 850, though previous VantageScore models range from 501 to 990. One isn’t necessarily more “accurate” than another; they’re just different. A credit score is always created using information from one of the three major credit reporting agencies: Experian, Equifax or TransUnion. Each of these companies maintains its own information and they do not share data with one another. While many lenders report to all three major CRAs, not all do. In addition, mistakes on one or more of your credit reports can result in differences. The net result? Your credit scores may change depending on which bureau supplied the information used to calculate it. You’ll see an example of this when you apply for a mortgage and the lender gets your scores from all three agencies at the same time; those scores may be quite a few points apart from each other. Your credit scores are not sitting in a computer database somewhere waiting for someone to request them. In fact, both credit scores and credit reports are compiled when they are requested. That means that if a lender requests your credit score one week and another lender requests it a few weeks later, the resulting number could be different due to the fact that different information was available to create the score. Even your “FICO score” can vary depending on which model was used to create the score, which bureau the credit information came from, and when it was calculated. Don’t just focus on the number that you see when you get your free credit score. Yes, a strong score is important, but what’s most important is what your score does for you. Take a look at what factors in your credit are strong and what may need some work. Those factors, which include things like payment history, debt usage, credit age, inquiries, credit mix, and length of credit history are spelled out in Credit.com’s free Credit Report Card and are usually quite similar, regardless of who is calculating the score.